Recently, after final test work, the tire type mobile jaw crusher plant and secondary mobile cone crusher plant have been transported to Kyrgyzstan and put into operation successfully. 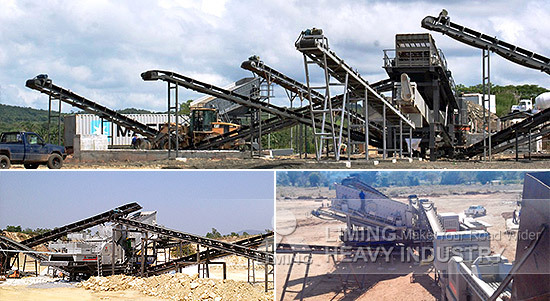 The customer comes from a stone processing company in Kyrgyzstan, the mobile crushing plant is mainly used for processing river gravel to meet the building sand specifications(0-5mm and 5-20mm). Currently, this mobile stone crushing line operating stably, and it reached and exceeded customer's expectation of 100 t/h. If you want to know more about mobile crushing plant and grinding mill equipment details and quotation questions, please click the customer service online, we will give you professional production programs and quotation.